I used a coupon and paid $10.41 for $45.77 worth of items at Bath and Body Works. I had a coupon for a free item with the purchase of at least $10 worth of products and I managed to snag a good deal. I do love Bath and Body Works items even though I think the full prices are way too high. I will only shop there if there is a sale or if I have a coupon that I think makes the prices more manageable. I normally buy candles there but recently I have gotten into their shower gels and hand soaps. I also decided to get the body cream since it is thicker and does a better job than the hand lotions in my opinion. 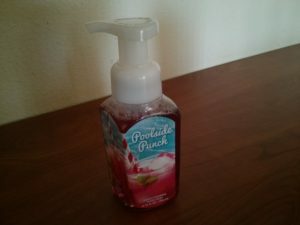 This time around I wanted more hand soaps since I think they are a great addition to my bathroom and kitchen at present. The body creams are $13.00 normally and the hand soaps and shower gels are on sale from $3.00 to $3.75. This means that I could get three hand soaps or shower gels at the sale price and then use the coupon to get the $13.00 body cream for FREE!!! 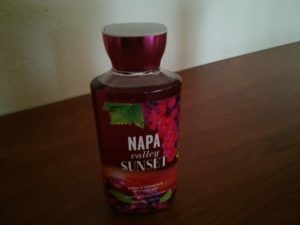 Napa Valley Sunset Shower gel. Regular price $12.50, Sale price $3.12. This shower gel is from their vineyard line and I have a candle from that line that just smells divine. I saw the shower gel in the 75% off bin and decided to give it a sniff. It really smells good and will be a good thing to help wake me up in the morning. Poolside Punch Hand soap. Regular price $6.50, Sale price $3.00. This hand soap smells like a fruit punch and I am sure it will make me enjoy washing my hands. The hand soap that really got me turned on to Bath and Body Works soaps was the Nectarine Sun Tea. Before this hand washing was just a thing to do but after using that soap I really like washing my hands as weird as that may sound. 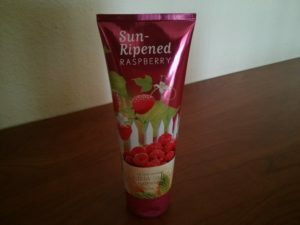 Sun Ripened Raspberry Body cream. Regular price $13.00, Sale price $3.25. This is one of their older lines and I remember getting this when I did my undergrad degree. I bought the shower gel during the semi-annual sale and also saw this in the 75% off bin so I thought why not get it at that great price! 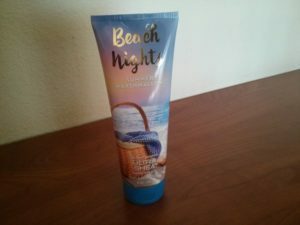 Beach Nights body cream. Regular price $13.00, Sale price $0.00 because of the coupon. This is the new summer 2016 line and I did not like it the first time I smelled it. I have gone back twice and smelled it since then and got to like it more. I think the problem was that I was sniffing the lotion and the shower gel, which smell a bit different from the body cream itself. I am happy with my purchases and if we average the four items out it comes to about $2.54 per item which is really a good deal. This is about the price I would pay at my regular low priced store but these smell so much better!! !